The Early History of Harvard University Harvard University, which celebrated its 350th anniversary in 1986, is the oldest institution of higher learning in the United States. Founded 16 years after the arrival of the Pilgrims at Plymouth, the University has grown from nine students with a single master to an enrollment of more than 18,000 degree candidates, including undergraduates and students in 10 principal academic units. An additional 13,000 students are enrolled in one or more courses in the Harvard Extension School. Over 14,000 people work at Harvard, including more than 2,000 faculty. There are also 7,000 faculty appointments in affiliated teaching hospitals. 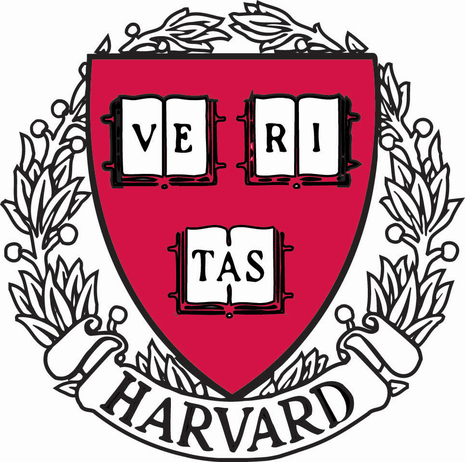 Harvard University (incorporated as The President and Fellows of Harvard College) is a private university located in Cambridge, Massachusetts and a member of the Ivy League. Founded in 1636 by the colonial Massachusetts legislature, Harvard is the oldest institution of higher learning in the United States and currently comprises ten separate academic units. It is also the first and oldest corporation in the United States. 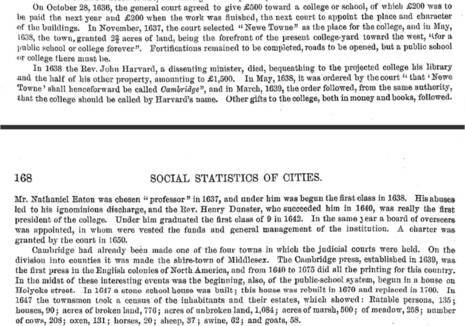 Initially called "New College" or "the college at New Towne", the institution was renamed Harvard College on March 13, 1639. It was named after John Harvard, a young clergyman from the London Borough of Southwark, England, who bequeathed the College his library of four hundred books and £779 (which was half of his estate), assuring its continued operation. The earliest known official reference to Harvard as a "university" occurs in the new Massachusetts Constitution of 1780. Harvard College was established in 1636 by vote of the Great and General Court of the Massachusetts Bay Colony, making it the oldest institution of higher learning in the United States. The college was named for its first benefactor, British-born John Harvard of Charlestown, a young minister who, upon his death in 1638, left his library and half his estate to the new institution. The charter creating the corporation of Harvard College was signed by Massachusetts Governor Thomas Dudley in 1650. In the early years, the College trained many Puritan ministers.